An official trailer has arrived for a film that was just announced this week to premiere at the Cannes Film Festival next month. April's Daughter is the latest film from Mexican filmmaker Michel Franco, of the critically acclaimed films Chronic and After Lucia previously. It tells the story of a 17-year-old woman who ends up pregnant, and decides to call her mom despite not being in contact with her much. Her mom shows up to help care for her and her sister (who also has a baby), but we soon learn why Valeria had wanted her to stay away. It's a story about the complex relationship between parents and their children. Starring Valeria Becerril, Emma Suárez, Hernán Mendoza, Iván Cortés, Joanna Larequi, and Enrique Arrizon. This trailer does have English subtitles, so it's worth a watch. It looks quite good, very moody and somber. Valeria (Valeria Becerril) is 17 and pregnant. She lives in Puerto Vallarta with Clara (Joanna Larequi), her half sister. Valeria has not wanted her long-absent mother, April (Emma Suárez), to find out about her pregnancy, but due to the economic strain and the overwhelming responsibility of having a baby in the house, Clara decides to call their mother. April arrives, willing to her daughters, but we soon understand why Valeria had wanted her to stay away. 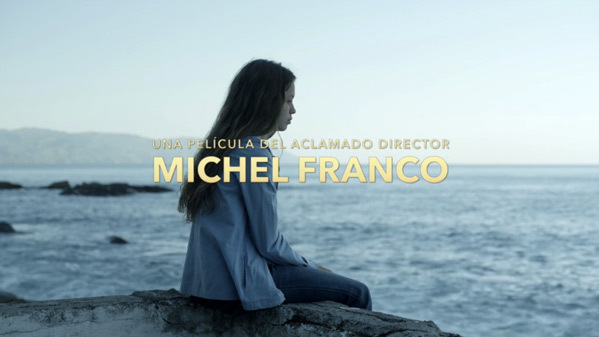 April's Daughter is written and directed by acclaimed Mexican filmmaker Michel Franco, director of the films Daniel & Ana, After Lucia, and Chronic (with Tim Roth) previously. The film is set to premiere in Un Certain Regard at the 2017 Cannes Film Festival this summer. April's Daughter is still seeking US distribution at this point. Stay tuned for more. Thoughts on this trailer?